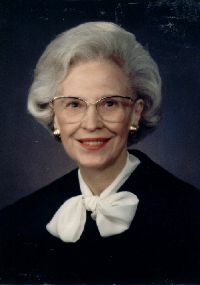 Justice Dorothy Comstock Riley was appointed to the Michigan Supreme Court in 1982 by Gov. William Milliken after having lost election to the Court that same year. She was removed in 1983 and then elected back to the Court in 1984. She served as Chief Justice from 1987 – 1991, and was re-elected in 1992. She retired in 1997. Justice Riley earned her undergraduate and law degrees from Wayne State University. She formed her own practice, was appointed Wayne County Friend of the Court, and was a partner in the firm of Riley and Roummel before becoming a Wayne County Circuit Court judge and later the first woman on the Michigan Court of Appeals.